The secret to stick to it is to make the experience enjoyable AND simple! I love the smell of coffee, so why not use a scrub with coffee?! I’m a lazy person and apply moisturizer all over my body and then wait for it to dry, it’s too long… so why not put oil directly into the scrub so when I’ll came out of the shower, my skin will already be hydrated?! After this deep reflection (and a few hours spent on the internet), here I am, with a homemade scrub recipe that not only smells terribly good, but allows you to skip the hydration step, and only contains four ingredients (and no chemicals if you choose them organic)! 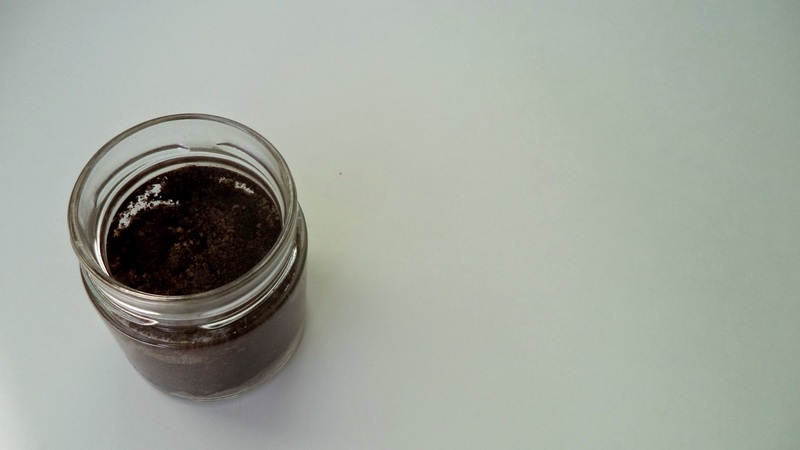 Small bonus, coffee is the enemy number 1 of cellulite, so using a coffee scrub could help reduce the appearance of cellulite (I’m not convinced yet but nothing ventured, nothing gained). 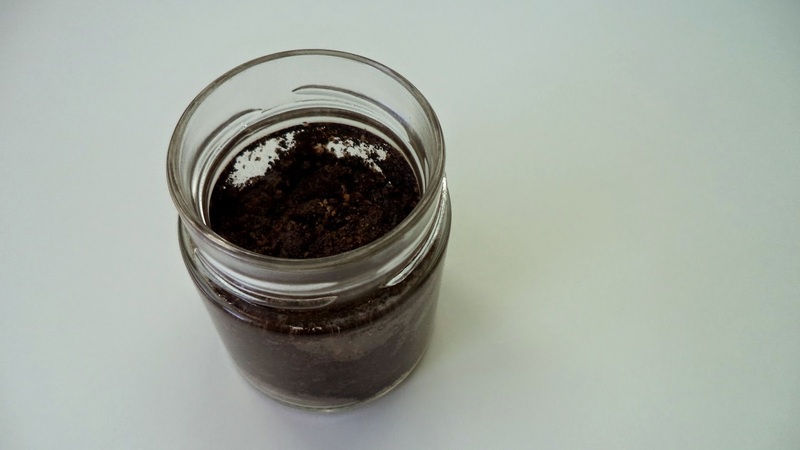 You just have to mix everything and pour the mixture into a jar and VOILA! 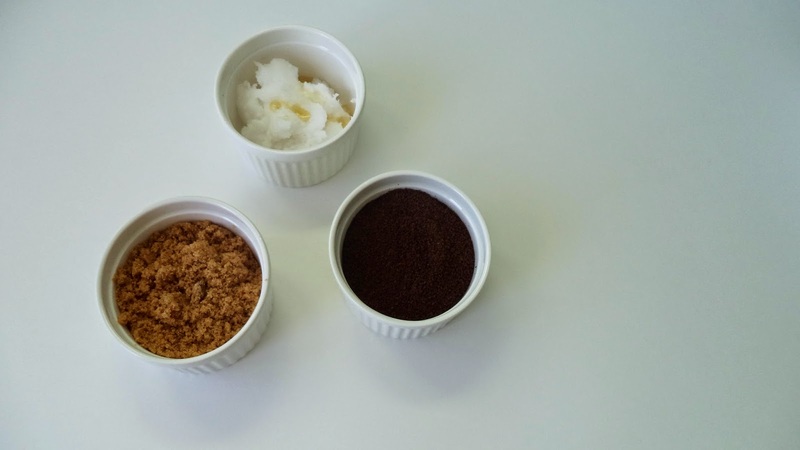 The coffee and the sugar will exfoliate the skin, the coconut oil will moisturize and the honey will help disinfect and heal if you have a bit of body acne. The result: a soft and hydrated skin, even during the coldest months! Do you have any at home recipes to share? You can also read this post about How to survive the colder months!